The USGSted project relies firstly on an application programming interface that collates tweets with earthquake-related keywords. You know, like earthquake, quake, tremor, theearthmoveddarling, that sort of stuff. 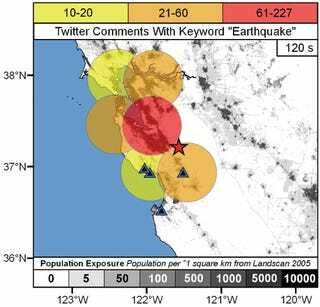 The USGS then gathers data from the quake, like magnitude, location, depth below the surface and number of tweets received.